We had the opportunity to shoot one of our first 3D wiggle images in the Four Point Sheraton hotel, in Sihlcity, Zurich, Switzerland. Sihlcity is an urban entertainment center in the old Zurich paper mill near the river Sihl. The space was beautiful. Elements of the old paper mill integrated into modern hotel rooms made us fall in love with the space. We had time, so we shoot with professional flash equipment. The best pictures were those with elements in to room in the ¾ of the space giving the best 3D effect. To create a good wigglegram, take a lot of pictures of the same room and vary the angle of the shooting. Take care of the background. If the background texture is too sharp, the wigglegram will be hard to look at. We had a slight problem with the camera. All photos resulted underexposed. This is why we needed to make lots of adjustments. Setup the rotation difference perfectly because of the straight lines of the building. Experiment with different rotation points. Experiment with different animation speeds. In hospitality photography, it’s important to “sell” the space! Variety of different interior settings in the industry, hospitality photography offers an opportunity to be creative. Be ready to experiment while both taking and adjusting the wiggling photos. 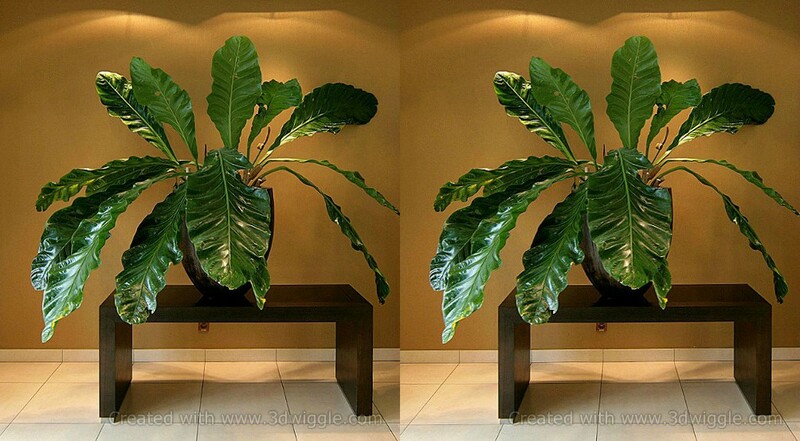 We suggest using 3Dwiggle for hotel, b&B, spa or restaurant photos to give your space a special look.